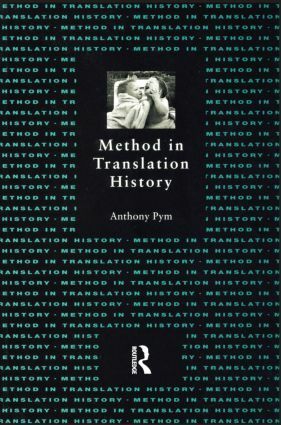 Starting from the critical notion that we should be asking questions of contemporary importance - and that 'importance' itself must be defined - Anthony Pym sets about undoing many of the currently dominant models of translation history, positing, among much else, that the object of this history should be translators as people, that researchers are subjectively involved in their object, that cultural systems are based on social will, that translators work in intercultural spaces, and that a model of cooperation through negotiation may be applied to the way translators (and researchers!) work between cultures. At the same time, the proposed methodology is eminently constructive, showing how many empirical techniques can be developed and applied: clear illustrations are given of corpus selection, working definitions, deceptive statistics, and the construction of networks and regimes, incorporating elaborate examples drawn from medieval and modernist fields, as well as finding space for notes on practical problems like funding research. Finding its focus in historical debates, this book cannot help but create contemporary debate: its arguments seek not only to revitalize the historical study of translation but also to develop the wider concerns of intercultural studies.